There is no doubt that Christmas has become a celebration of abundance as much as a rebirth of love. 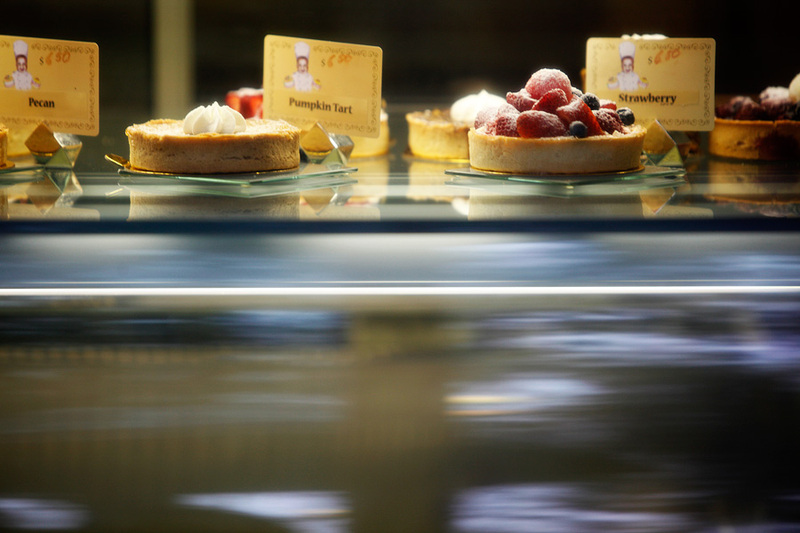 A Holiday feast complete with rare treats is certainly in order and what better fits the bill than these delicious-looking tarts in the window of The Little Chef Pastry Shop at 8 South Tulane Street? The goodies offered here are obviously created with an abundance of skill and the love of baking. Owner and pastry chef Edwige Fils-Aimé ("Pouchon" to his customers and friends), originally from Haiti, learned his craft at La Boulange, a French bakery in Midtown Manhattan. He fell in love with creating signature desserts and opened The Little Chef in 2003. Pouchon continues to make all of his shop's cakes, éclairs, tarts, mousses and croissants himself; his only hired help is a dishwasher and a weekend counter person. Carey Jones of SeriousEats, a top-rated food blog, claims that The Little Chef has the best croissants in America. If you want to find out for yourself, get there early: Pouchon takes the croissants out of the oven at 8:00 a.m. and they're gone within two hours.